As a project-based school, ACLC learners are consistently engaged in experiential learning. They produce a wide variety of impressive projects across the spectrum of classes and subjects. For well over a decade, as their senior project, three or four ACLC seniors have planned, organized and run a three-day, two-night camping adventure at the beginning of the school year for incoming 6th-graders called "Hannah Camp." This unique experience helps orient incoming sixth-graders to the ACLC culture, create lasting friendships among 6th-graders, establish mentoring relationships between older and new learners, alleviate the anxiety associated with entering a new school, and gets the school year off to a great start. Hannah Camp involves bonding over campfires, creating wacky skits, team-building exercises, nature hikes, spirited games and sports, friendship bracelet-making, and s'mores (of course!) and has become a beloved and honored tradition at ACLC. Hannah Fletcher, a senior in 2003, first proposed the camp with the intention of bringing together the community of older and younger learners, teaching that age shouldn't be a barrier for forming friendships, and that we can all learn from each other no matter our differences. 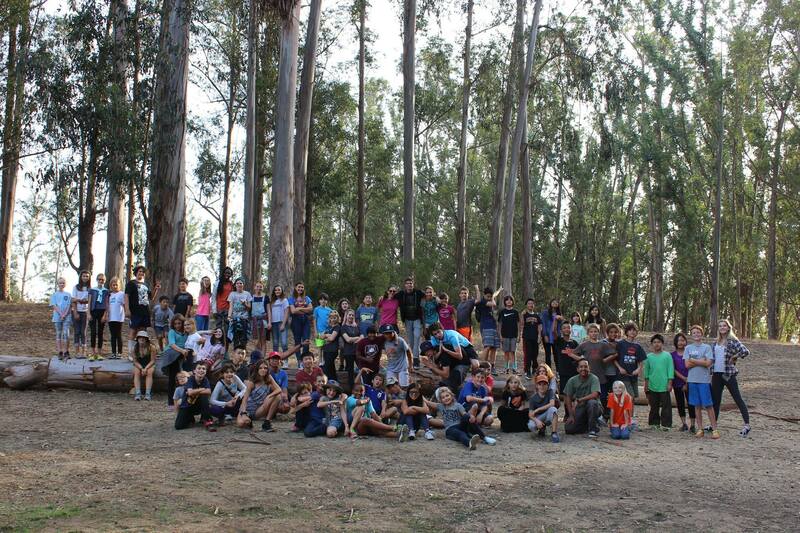 To honor Hannah's initiative in establishing this tradition, this awesome event became known as "Hannah Camp." Hannah Camp truly embodies the spirit of ACLC. Because it is fully learner planned, organized and run, it not only helps induct 6th-graders into ACLC's special culture, it reinforces that culture to the seniors responsible for the event, as well as the additional seniors and juniors who serve as counselors for the event. 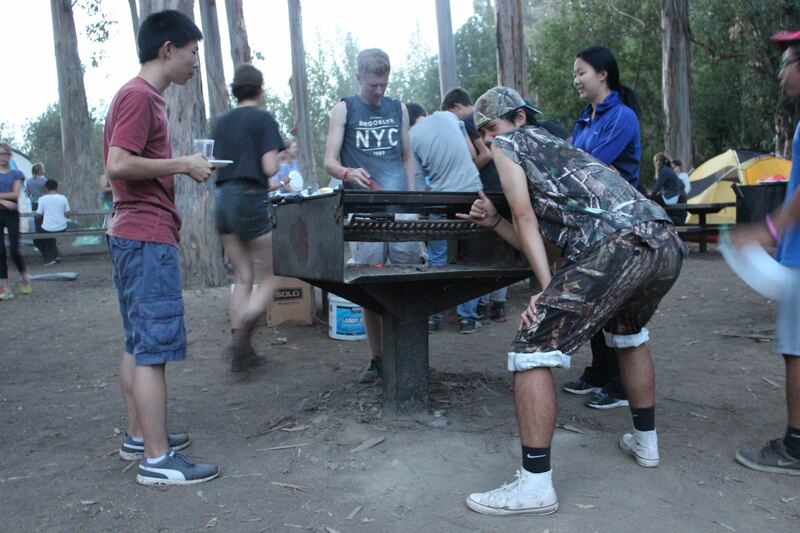 With minimal supervison and assistance, the event organizers must assemble enough food, tents, camping supplies, activities, parent drivers and school chaperones to house, feed, lead, teach and amuse more than 60 6th-graders for three days and two nights at a wilderness campground. Talk about a senior project that teaches life skills! Hannah Camp is a shining example of the ACLC model of self-directed project-based learning — a memorable way that we are educating the leaders of tomorrow. 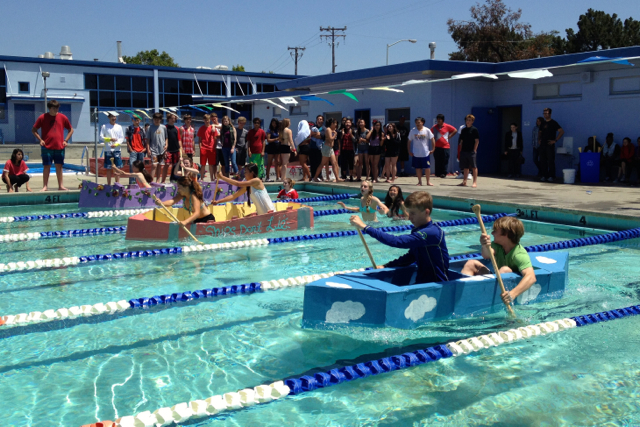 The most popular end-of-school-year event at ACLC is the annual "Jim Richards Cardboard Boat Races" - a prime example of project-based learning in action. The cardboard boat race has been a long-held tradition at ACLC, and expanded to include sister school, Nea, in 2010. This legacy project is so beloved that it is a permanent fixture in both schools’ science curriculums. The culminating project for ACLC's 8th Grade Engineering Science and Nea's 9th grade Physics classes, the cardboard boat project tasks learners to use their knowledge of density, buoyancy, and other physical science topics to design and construct two-person boats made only from cardboard and small amounts of tape, glue, and paint. Most are also decorated with colorful designs, names or symbols for luck, reflecting the teams’ artistic as well as engineering skills. Learner teams compete in pool length races, vying for the coveted Gold, Silver, and Bronze Paddle Awards (1st, 2nd, and 3rd places) and other honors, including the Golden Bulb Award for the most creative design and the Bronze Bucket Award for the fastest sinking boat. Teams perform original cheers as they launch their vessels, adding singing, rapping or drumming to stoke the enthusiastic crowd of observers in the stands. Learners also run the event, serving as emcees, timers, record-keepers, boat launchers and providing technical support. Every year, numerous ACLC learners are recognized for their outstanding projects at the Alameda County Science and Engineering Fair (ACSEF) - winning first, second and third place prizes and honorable mentions. Many are promoted to compete at the state, national and international level Science Fairs, and recognized further with multiple prestigious Special Awards, like the Broadcom Masters award, given to the top 10% of first place winners with an invitation to participate in the “Math, Applied Science, Technology, and Engineering for Rising Stars” competition. 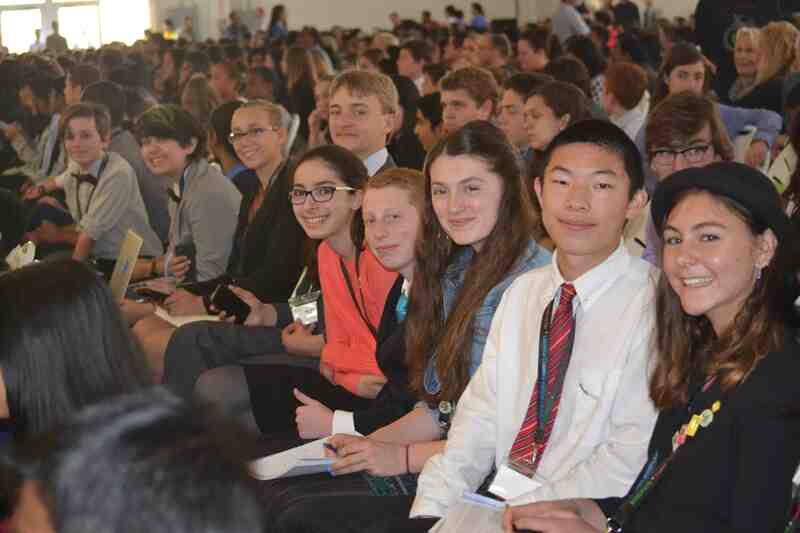 The ACSEF provides a forum for stimulating student interest in science, technology, engineering and mathematics, and gaining critical thinking, problem-solving and leadership skills. 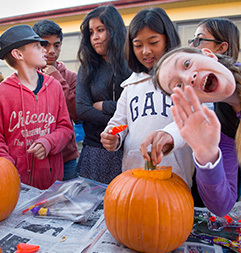 Students in grades 6-12 from home school, charter, public, private and parochial schools within Alameda County are eligible to participate in the fair, with nearly 700 students and over 75 schools taking part in the yearly event. Perspectives are two-minute opinion pieces broadcast every morning on KQED-FM in San Francisco as part of NPR’s Morning Edition show, airing weekdays at 6:43 am, 8:43 am and 11:29 pm, and weekends at 7:36 am and 8:36 am. The subject matter for Perspectives is very broad, emphasizing topics of interest to KQED's regional audience, including national and international issues. Observations on everyday life are also frequent topics, especially if they make a broader point about who we are and how we live. ACLC English facilitator, Molly Fenn, began incorporating the writing of Perspectives essays into her English classes a few years ago. She wanted learners to write about a meaningful topic for a public audience to experience the impact their writing can have on themselves, their peers, and their community. Since then, numerous ACLC learners have had the honor of reading their Perspectives essays on KQED public radio. Not only have these learners experienced the thrill of being on the air, they have had their writing featured on the most-listened-to public radio station in the country, reaching over 745,000 listeners each week! 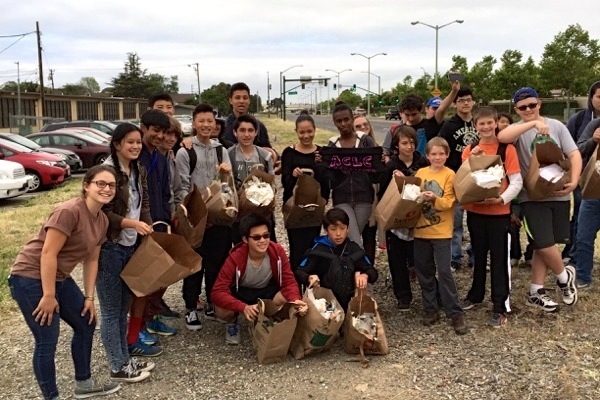 The Alameda Community Learning Center (ACLC) was fortunate to have "Litterati" founder, Jeff Kirschner, as the keynote speaker at their school-wide Earth Day Celebration on April 22, 2015. Kirschner’s talk about the Litterati movement and other earth-friendly activities were the focus of the daylong celebration to create greater environmental awareness at the school. Besides Kirschner’s keynote presentation, ACLC’s Earth Day event featured a variety of environmental educational sessions run by other guest environmental experts, students in ACLC’s Environmental Leadership class and ACLC facilitators (teachers). Sessions included: making pillows out of recycled fabrics, making glassware out of recycled glass bottles, making chair mats out of recycled T-shirts, planting trees and other foliage around the school, and how to use solar and other alternative sources of energy. The day wrapped up with small group sessions to exchange ideas on how to be more environmentally conscious at home. The Earth Day event was planned and run by ACLC’s Environmental Leadership class consisting of seniors, Michelle Cossette, Michelle Luo, Taylor Tran, Chloe Feng, and junior, Kasilena Gonzales, and facilitated by ACLC teacher, Patricia Williamson. 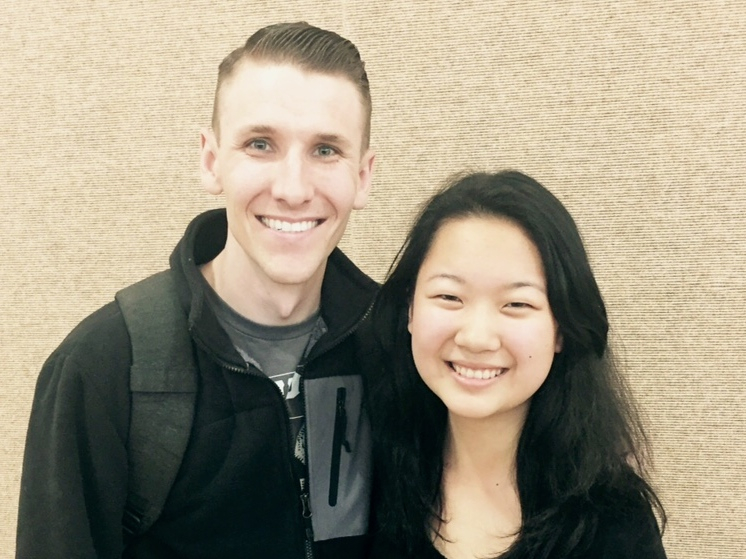 After attending a statewide leadership seminar, ACLC high school junior, Winnie Zhou, proposed creating an ACLC Leadership Conference and recruited classmates Sophia Moore, Skylar Herrera Ross and Marisa Wood to help make it happen. The day-long event held on Friday, February 20, 2015, was a first in ACLC’s 20-year history, and included interactive workshops, information sessions with local speakers, and an opening keynote presentation from Scott Backovich, a well-known youth motivational speaker. Other workshop offerings explored how to become a leader, leadership qualities and personality traits, inspiring examples of accidental or unexpected leaders, and team-building exercises. These sessions were led by local business, community and thought leaders, a few of whom were also ACLC alumni, facilitators (teachers) and Board members. Learners ended the day in small group sessions called “Community Connections” where they could share what they had learned, provide feedback on various sessions, contribute ideas on how to improve their school community and find ways to get involved. 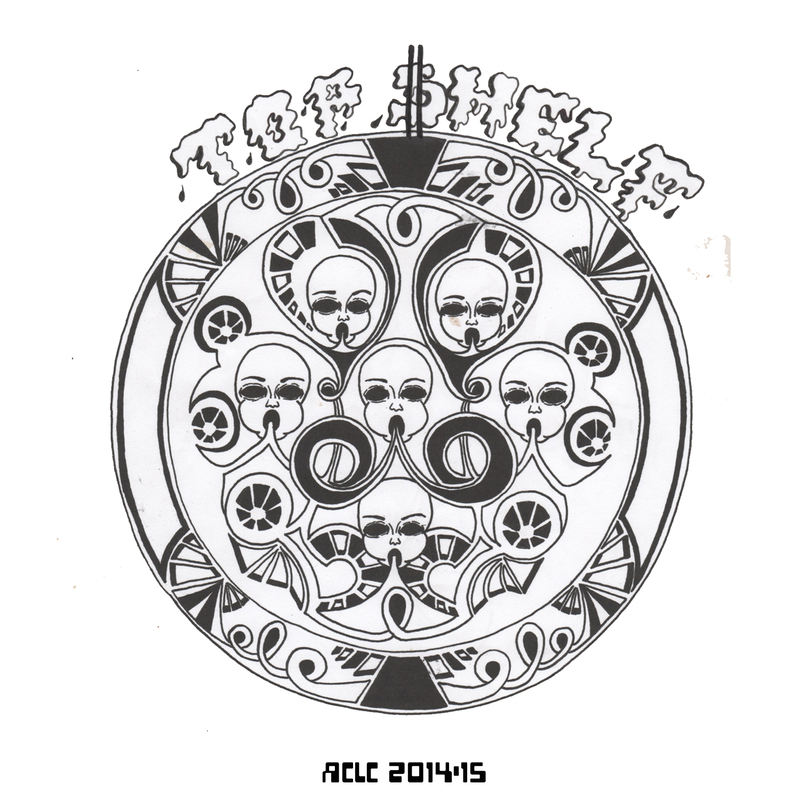 Top Shelf is a digital music album featuring the work of ACLC learners from the Digital Music class of 2014-15, ranging from experimental sound collages to electronic dance music, along with a special bonus track from ACLC alumni. *Art work by ACLC alumna, Bailey Rodriguez. 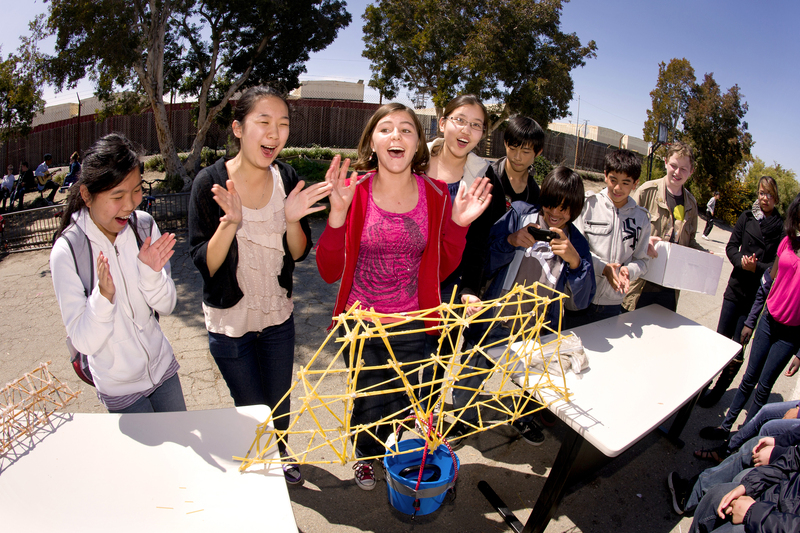 Eighth-graders are required to build a weight-bearing bridge out of plastic straws for one of their science engineering projects. These learners are celebrating the moment their bridge passes the required weight-bearing test. ACLC and Nea Honors Government students, in collaboration with Familes That Can, hosted two public forums featuring local candidates for the 2012 elections. They met with, solicited responses and moderated public question and answer forums of local City Council and School Board candidates to help inform voters. They also developed a Nonpartisan Voter Guide for distribution to attendees of the forums. 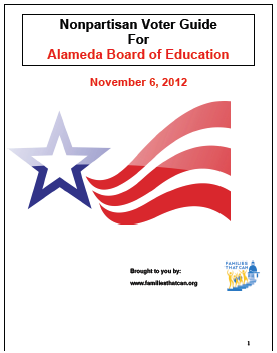 Click the image to view the 2012 Alameda Non-Partisan Voter Guide. As part of a high school English class, learners were required to develop a fully-functioning website about a current social issue. These websites had to be informative on a particular issue, reflecting the learners' own and societal views on the topic, observations and research, relevant photos, poetry, personal reflections and a bibliography. Click on the topics below to view samples of the websites, and prepare to become fully informed! ACLC Seniors are required to create a Senior Portfolio and perform a Senior Project that benefits the community.